WB printed kabuki program cover info? All I know is that this is supposed to be a program from Imperial Theater -- Teikoku-gekijo -- µÛ¹ú„¡ˆö, from May 6, 1923 -- Taish¨­ 11th year - 5th month - sixth day. Help in learning what it says on the cover would be appreciated. Also - who the actors / roles might be. I've seen the man / priest with a baby in his robe somewhere, but don't recall who he is or why he has the baby. Thanks! 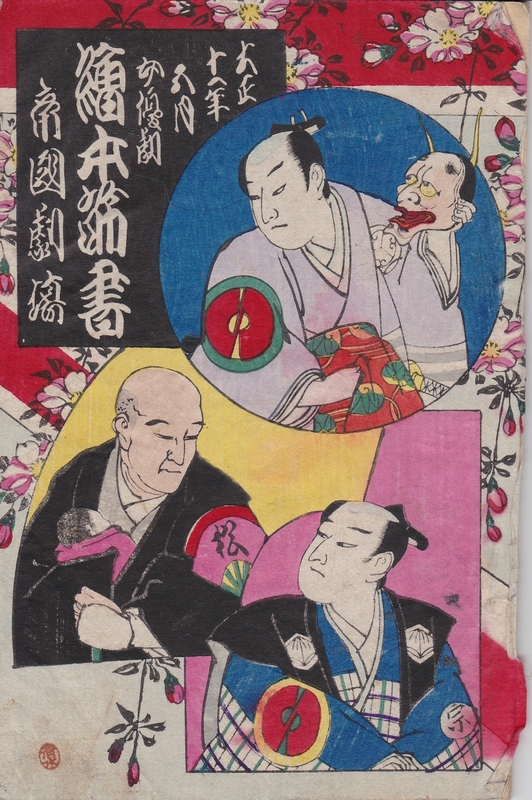 Subject: WB printed kabuki program cover info?